Born December 3rd, 1983. In 2005 graduated from the Academy of the Ministry of Internal Affairs of the Republic of Belarus, law faculty. Worked as a lawyer for three years in one of the biggest country's company. Besides the trading, he develops trading systems, writes articles and analytical reviews. Works at stock and commodity markets explorations. On Forex since 2006. Interests: music, guitar, literature, photography, design, sport. 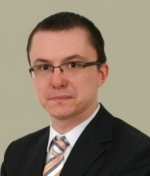 Analyst Yuriy was born on May 27, 1965. In 2003, he graduated from Saint Petersburg State Polytechnic University holding a degree in state and municipal management. Since 2005, he managed his own funds on MICEX and after that he got to know about Forex. Yuriy developed his own algorithm of simplified wave analysis and the method of finding correlations between relatively independent systems. His professional experience includes working for state-owned organizations; he also was a manager at publishing and stock trading companies. Hobbies: history, psychology. Sebastian Seliga was born on 13th Oсtober 1978 in Poland. He graduated in 2005 with MA in Social Psychology. He has worked for leading financial companies in Poland where he actively traded on NYSE, AMEX and NASDAQ exchanges. Sebastian started Forex trading in 2009 and mastered Elliott Wave Principle approach to the markets by developing and implementing his own trading strategies of Forex analysis. Since 2012, he has been writing analitical reviews based on EWP for blogs and for Forex websites and forums. He has developed several on-line projects devoted to Forex trading and investments. He is interested in slow cooking, stand-up comedy, guitar playing, reading and swimming. Mehreen Yasin was born on 16 December 1993 in Pakistan.She is a student, doing CA.She just started learning Forex trading when she was in 12th grade in 2012.After starting chartered accountancy (CA) she found Economics the most interested subject and then it became more interesting for her to analyze the economic condition of a country.In technical techniques first of all She started applying trend line techniques then she started using trend line and other important patterns along with Elliot waves.She is interested in cooking and reading. Her main aim is to show the talent of a female student, to show how committed Eastern girls are and to prove the activeness of a female in finance. Has higher economic education. A specialist of the financial management and research officer working in the field of fractal analysis. Has been involved in the exchange marкet since 2000. For this time has made a lot of researchs of the technical and fundamental analysis. Developed and introduced his own trading strategies for analysing Forex exchange market. 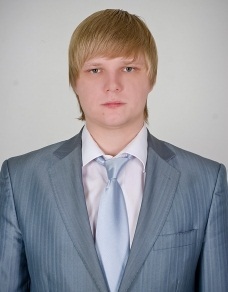 From 2005 up to this day Alexey Almazov has been running the daily analytical review of Forex market. He is the author of "Fractal Theory. How to change your view on the financial markets" project.